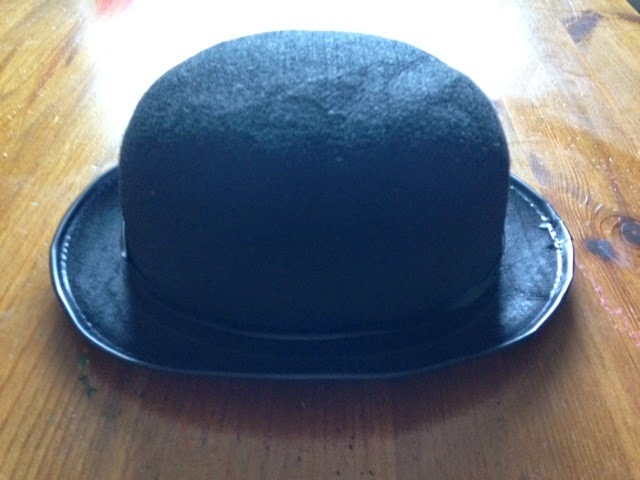 A bowler hat, pictured without Orangeman underneath. Hughie ‘Hugh’ Syndrome, a high-ranking member of the Lovelier Unionists Movement, has claimed that despite developing a reputation of bullying, beatings and bigotry over the years, the real reason that Orangemen continue with their marches throughout Ulster in the summer time is down to the other ‘B-word’, bowler hats. Mr. Syndrome, a Lieutenant Cardinal with the organization, a splinter group which developed following a split within the ranks of the Unionists Against Things That Are Green Like Apples Grass and Fenians, itself an offshoot of the Anti-Brady Bunch-The Movie Unionists, says that if it weren’t for the hats and the lovely shiny sashes, he’d not be an Orangeman at all. We called to Mr. Syndrome’s home, a gorgeous split-level treehouse in a field on the outskirts of Ulster, where, through a window (he made us wait outside because it was raining and didn’t want our allegedly dirty, supposedly Free State footprints all over his rugs) we witnessed his mammy, Colin, ironing his sash and seductively slow-dancing with a packet of Jaffa Cakes, all while politely humming the popular Orangeman’s ballad, ‘Burn In Green Hell You Dirty Shamrock Bastards’, a minor hit in 1975 for The Loyal Nephews of Darling King Billy. When asked whether he still believed in the Unionist ideals that made Orangemen tick, Mr. Syndrome dressed in a mauve, off the shoulder Dolce&Gabbana number, with matching orange socks and a pirate’s hat, said; ‘What?’ We repeated the question, but he still didn’t hear us as some gobshite beside him was banging a drum and saying mean things about people who didn’t have bowler hats. His reply, we think, was; ‘Unionism as an ideal, is alive and well throughout Ulster. We also have nicer hats, and shinier sashes than other such organizations, and our marching is very orderly and pretty, with our clenched fists and perfectly-formed knees moving together at a rhythm most ballerinas would marvel at’. He either said that, or ‘All Taigs are bastards’. It was hard to tell with all the beating of drums, blowing of fifes, and the standing outside in the lashing rain while not even being offered a cup of tea. So far this year, there have been eleven July 12th parades celebrating something that Unionist lads are really into, with just 819 incidents of violence being reported, including the savage beating of one bowler hat, a man arrested for the inappropriate fondling of an Orange sash in public and another individual taken in for questioning for having a cousin who once said something nice Glasgow Celtic. Words by Bosco Coppell, Picture provided by Daisy’s Return of the Jedi Memorabilia Store. ← Man To Be Deported for Not Liking ‘Mrs Brown’s Boys’.